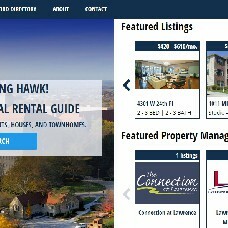 The Housing Hawk has hundreds of houses and apartments for rent in Lawrence, KS. Our free, online guide makes it easy to find local rentals. We've partnered with as many property managers and owners as possbile to provide the largest and most complete database of apartments, houses, duplexes, and townhomes available for rent in Lawrence Kansas.